Over the past few years one thing is very clear – an IBM Power System within your organisation canpolarise opinion. After sitting in a Financial IBM i user group last month – the message was clear – that since the Application Solution (AS400) was released in 1988 it has remained one of the best servers ever invented andit remains cost effective, stable, resilient and secure for the Finance Sector. Well, this message is not shared by all – as many in distribution and manufacturing do not always share the same opinion. They see it as a legacy server – running legacy applications, more expensive than its Intel alternatives, more expensive to operate and difficult to bespoke. From our experience – most of our clients in all sectors are successfully growing their businesses and IBM i isvery much at the heart of them. 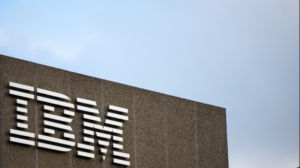 Whilst they continue to invest in Supply Chain Management, Warehouse management, web development and analytics to help drive their businesses forwards – the IBM i remains in the background and very capable of taking on many of these new workloads. So, for those of you who are currently feeling undecided about your IBM Power Servers – then give us a call. We currently work with over 120 IBM Power Server clients helping them develop a long-term IT strategy and bringing them the latest tools and skills. We can ensure that your IBM investment is seen as a good return on investment as it does for so many corporations.